The Bureau of Land Management [BLM] has between 48,000 and 50,000 penned horses and burros throughout the nation. These animals have been involved in the roundups — and many of them have been penned for years. They are in desperate need of adoption! 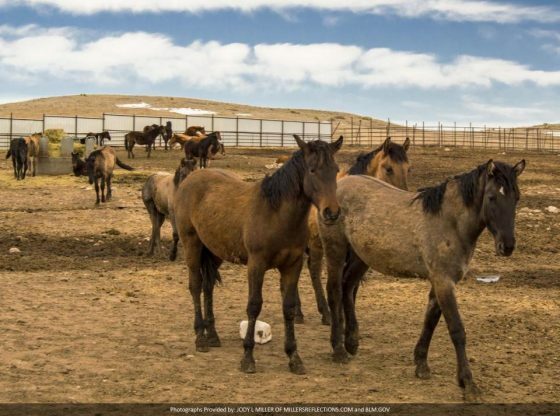 Recent reports have indicated that these animals are costing the BLM $130,000.00 per day to maintain this number of wild horses and burros — and those familiar with the practices of the BLM believe that these animals are slated to be destroyed. Since there are pens throughout the nation and, as of this writing, we do not know the schedule for euthanasia — they are in grave danger. We intend to launch a massive public relations campaign to raise awareness of the plight of these animals in the hope that we will find enough homes to accommodate the numbers currently in holding.\r\n\r\nIn order to accomplish this, it\’s imperative that the facts — and only the facts — are reported. A common misconception is that there is no way to control the population of wild horses and burros — or that advocates do not want them sterilized. This is simply not the case. PZP, while not without issues, is an excellent means of controlling wild horse population — and there are other means, as well. All that’s standing between these incredible, loving animals and certain death — is you. This is an EXCELLENT Youtube video created by the TBN company HLD in 2013. 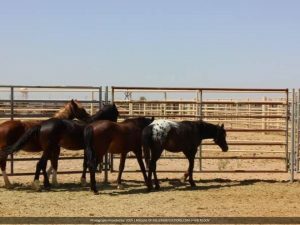 Things haven’t changed for America’s wild horses — but the brutality of these holding pens is well documented in this video and the plight of the horses is plain for anyone to see. This is animal abuse. Egregious, blatant animal abuse that, were it perpetrated upon these animals by the average citizen, would result in criminal charges. Be sure to watch this. The images in it will bring home the suffering of these horses in a way that will not soon be forgotten.